In our previous article, “The English Touring Opera Relocation,” we talked about a recent assignment where we relocated The English Touring Opera to their new offices in Smithfield, London. 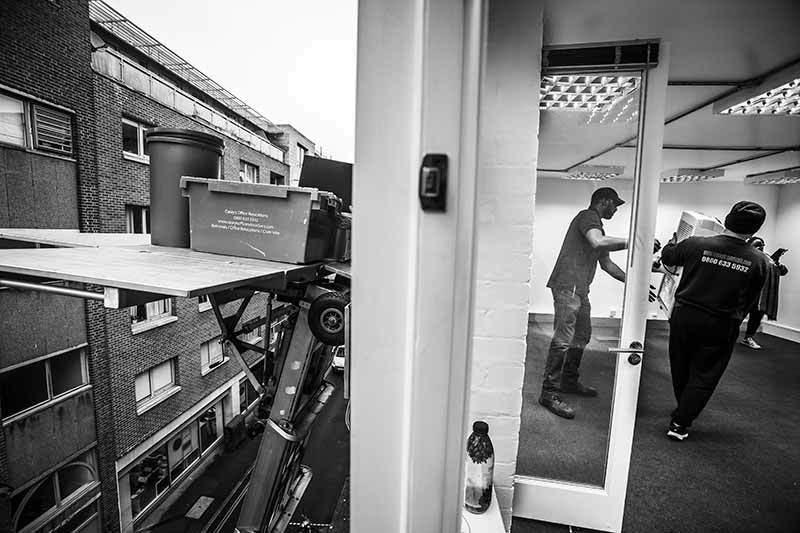 Due to the difficult access we had to employ the use of our mobile furniture hoist, which allowed us to hoist the furniture through a third floor window. We added photographs of the hoist in action in the post to show it at work, but you know how a picture tells a thousand words… but a video tells the story…so we now have a video. In the below video you will see our furniture hoist in action and how to hoist furniture through a window. Making “easy” work of moving removal boxes, crates and furniture up to an office on the 3rd floor. Are You Planning an Office Move in London? Does Your Current Office or New Office Have Difficult Access? If you are organising an office move or relocation, and have difficult or awkward access, then contact Casey’s Office Relocations today on 0800 633 5932 for a FREE quote.